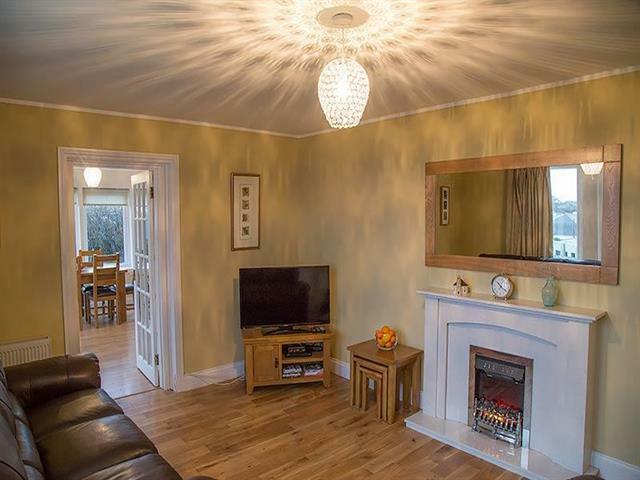 Lounge / Sitting Room - leather sofas, electric fire within a marble fireplace and large flat screen TV with Freesat and a DVD player. 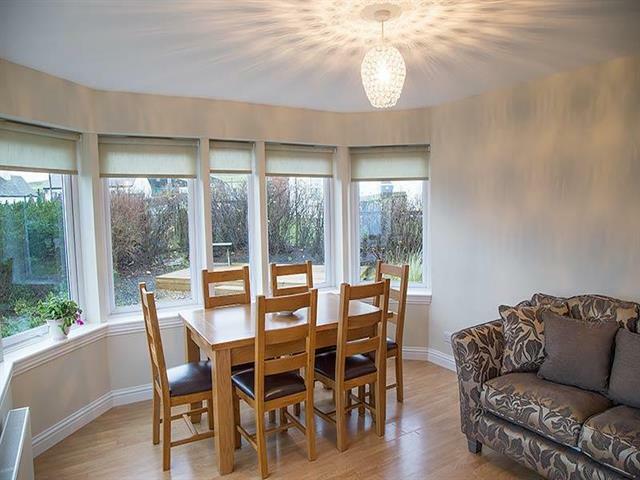 Sun Room - This bright room adjoins the sitting room and provides an outlook over the loch and the village that is hard to beat. 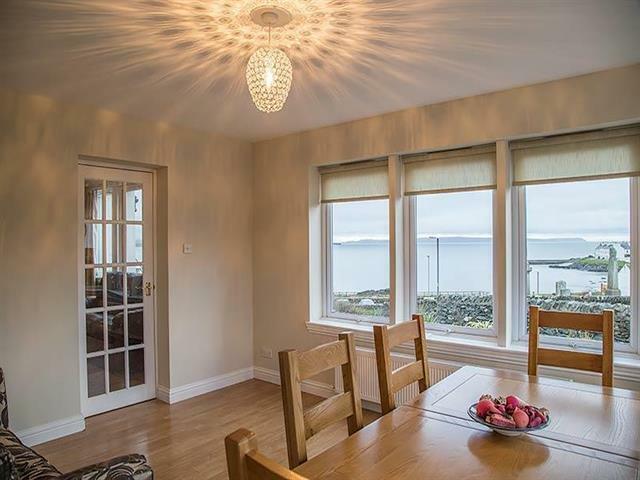 It is furnished with an extending oak dining table and chairs and a comfortable sofa to sit back in and enjoy the views from. 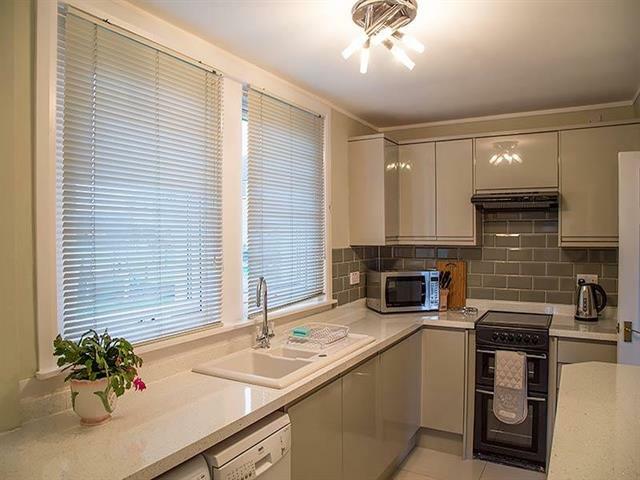 Kitchen - The kitchen is fully modernised and is equipped with everything you need to make you feel at home, including a cooker, microwave, washing machine, dishwasher, fridge-freezer, iron and ironing board, as well a full range of crockery and utensils. 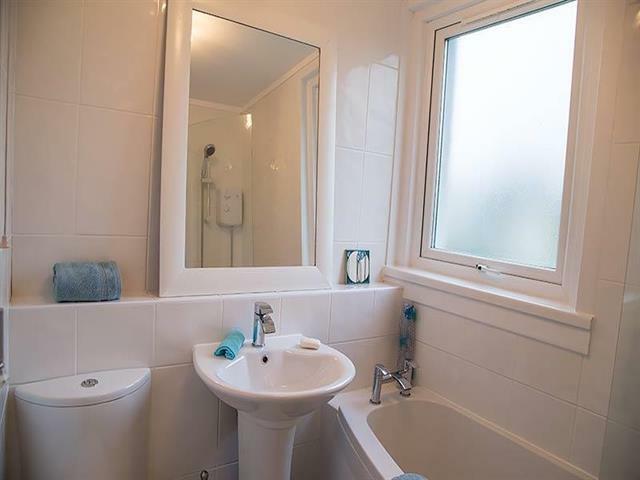 Family Bathroom - There is a white bathroom suite with a shower over the bath and a heated towel rail. Towels supplied. 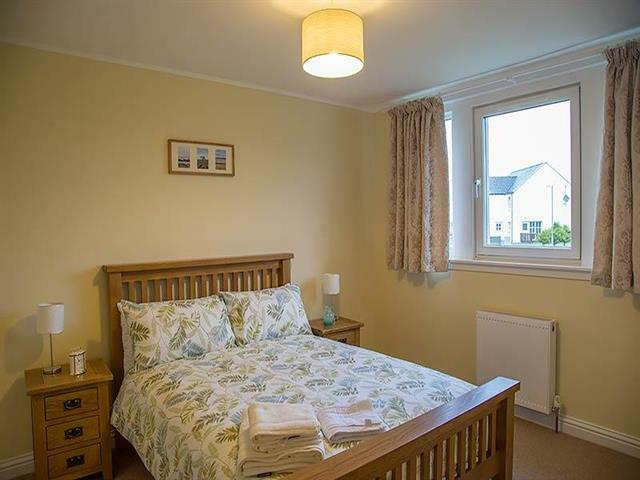 Double Bedroom (front) - This bedroom has lovely outlook over the loch and village. 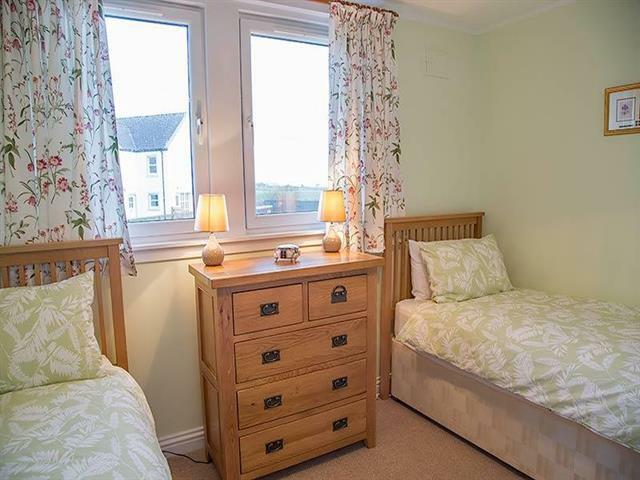 The double bed and bedside tables are oak and there is a built in wardrobe. 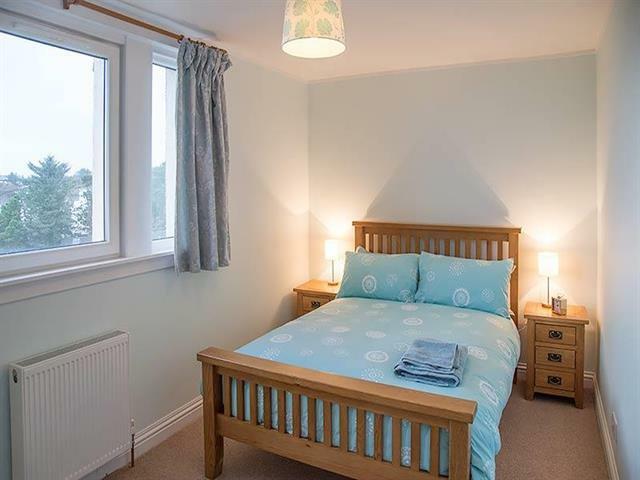 Double Bedroom (back) - This room looks onto the rear garden. The double bed and bedside tables are oak there is a built in cupboard for your clothes. Twin Bedroom (back) - This room looks onto the rear garden. The two single beds and chest of drawers are oak and there is also a built in cupboard. 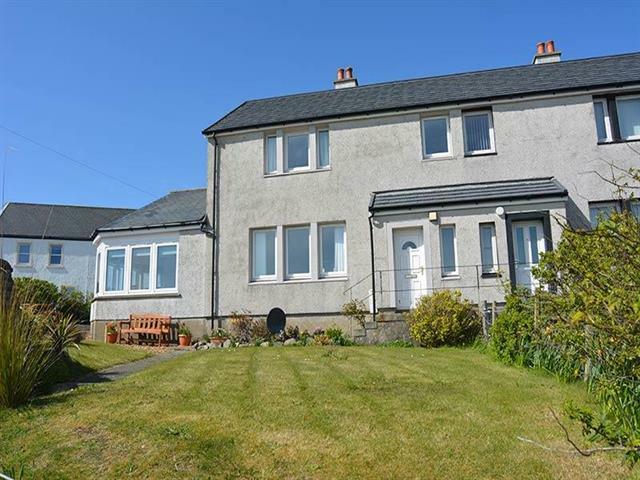 Central heating throughout the property and hot water are provided from an oil fired external combi boiler. Garden - There is garden space to the front, side and rear of the property with a decked area, outdoor seating and a drying green. On-street parking is available to the side of the house and there is an area within the garden.